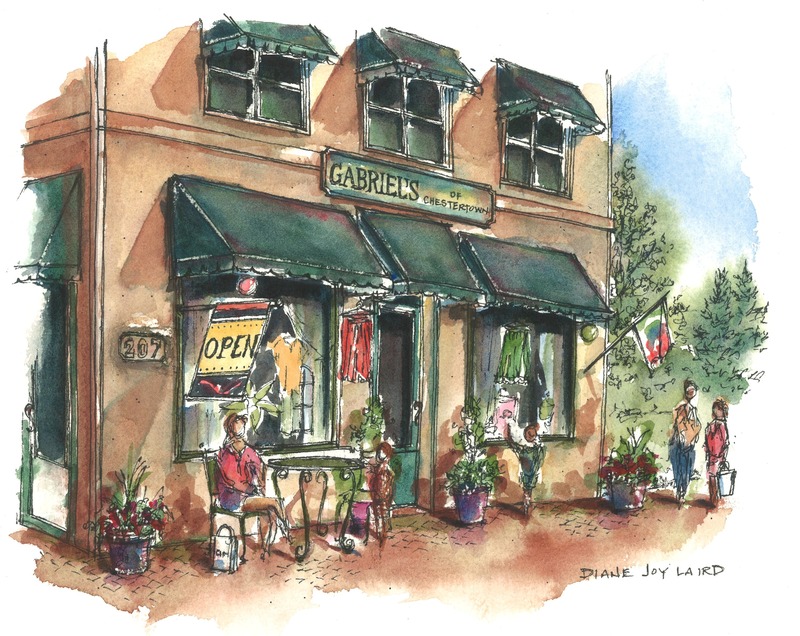 Gabriel's of Chestertown offers a variety of home and women's accessories...a "must shop" in Chestertown, MD. 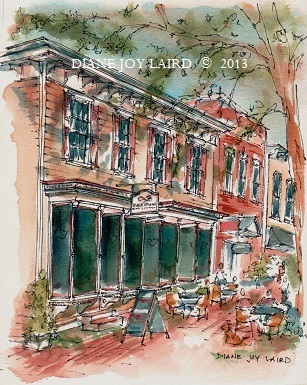 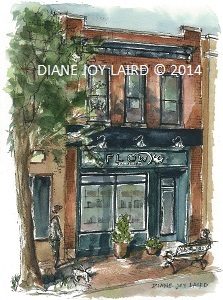 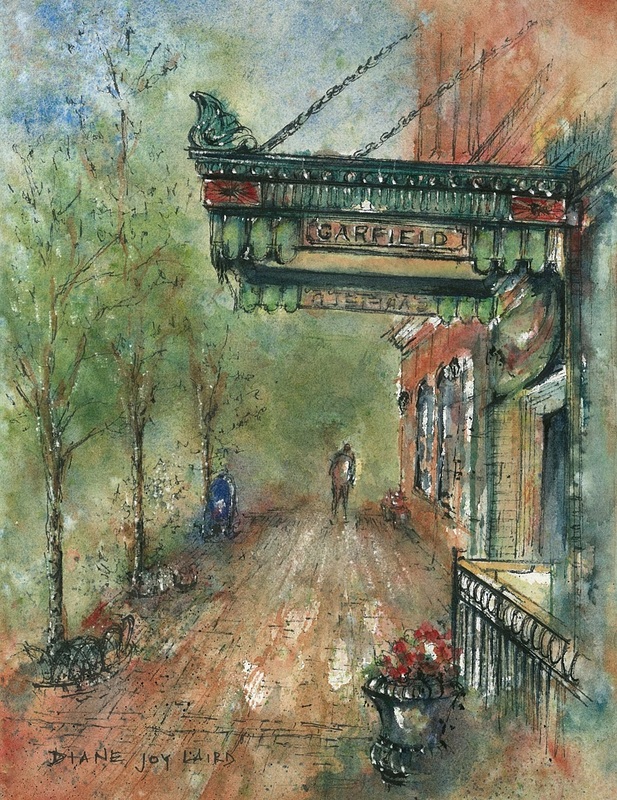 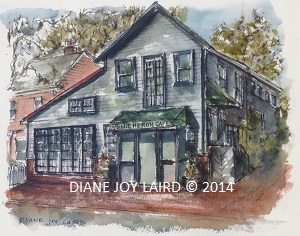 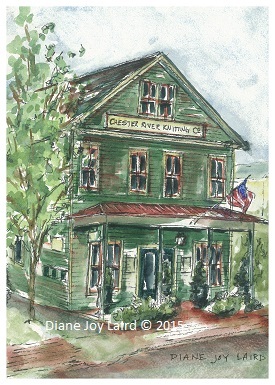 The original painting is in the personal collection of the owners of Gabriel's, Joyce and Marty Hale. 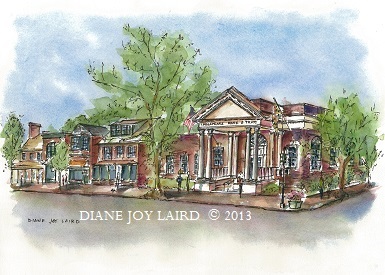 Limited edition prints and notecards are available. 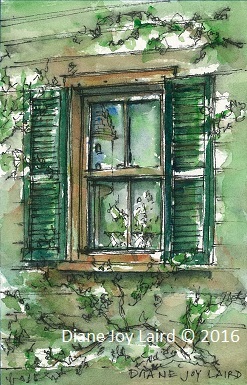 Lillies in Window allows the viewer a peak into the Village Shop's side display window from a hidden pocket park on Cross Street in Chestertown. 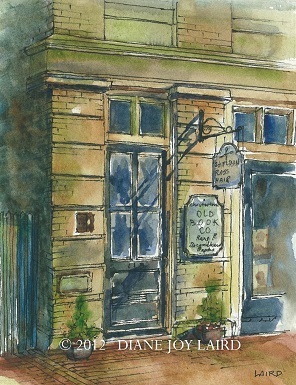 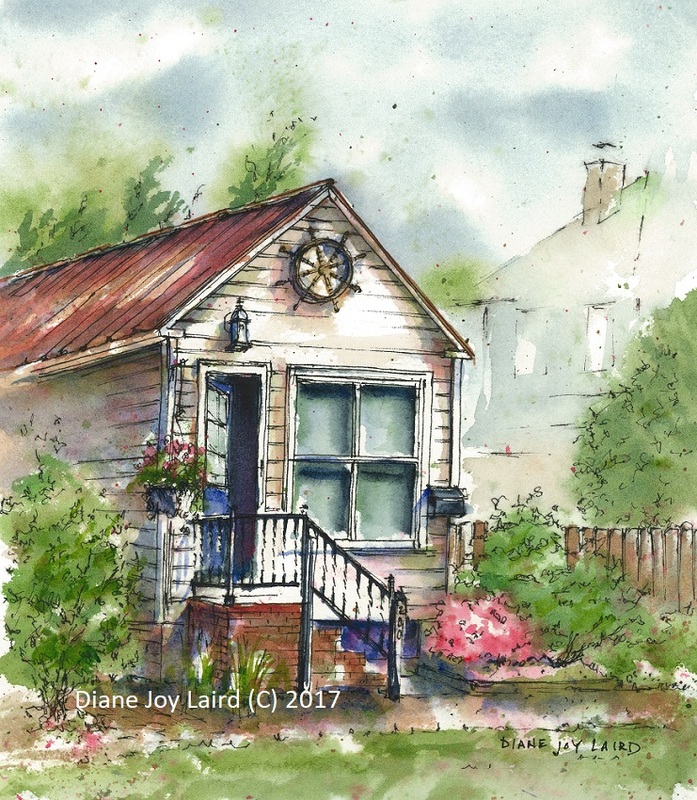 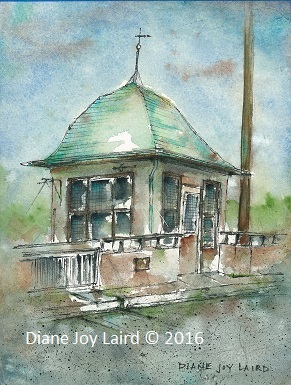 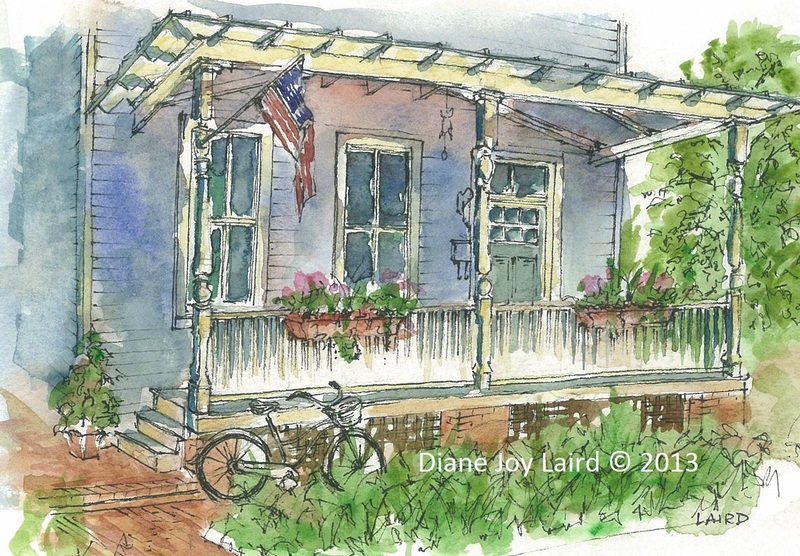 The painting recalls an earlier view of "Paperwhites in Window", the first painting that Diane completed in her signature style of pen/ink and watercolor in about 2011.